Sometimes it is hard to say why but in some places we feel more comfortable than in others, we are fitter, more awake and sleep better. 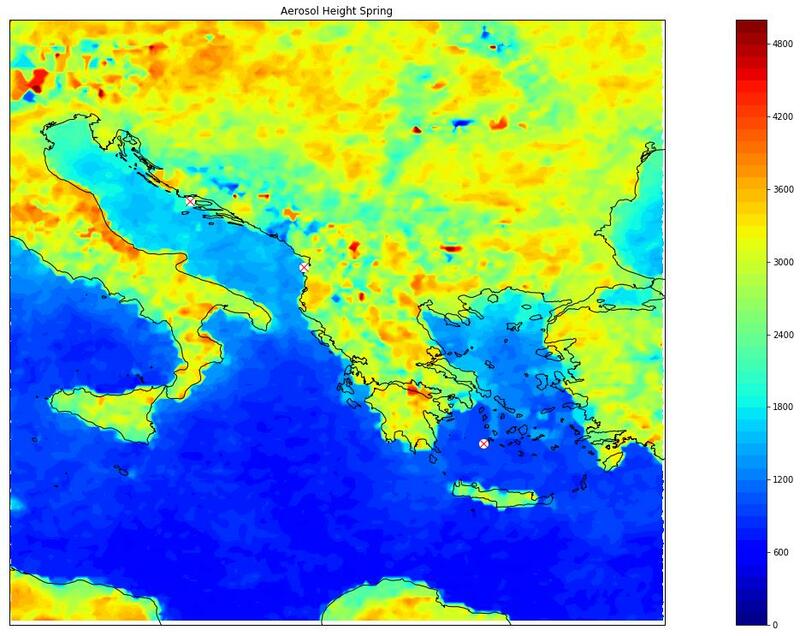 Aerosol measurements are an important element when it comes to identifying places that are good for our well-being because of their good air quality. 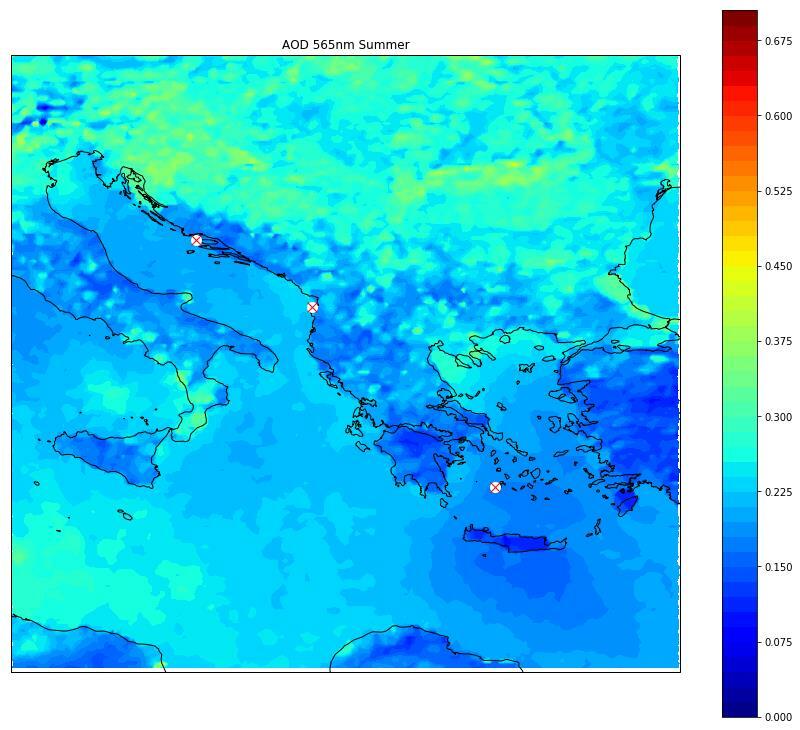 Measurements by ATMOS Aerosol Research are therefore an important part of feasibility studies for new building projects. Furthermore, special climatic health resorts can be identified and labelled according to seasons. With the help of aerosol measurements, treatment plans can be specifically designed to suit the human organism. The effectiveness of measures of town development (green facades, ban on vehicles, new parks, and so on) can be shown by the combination of different methods of measurement. 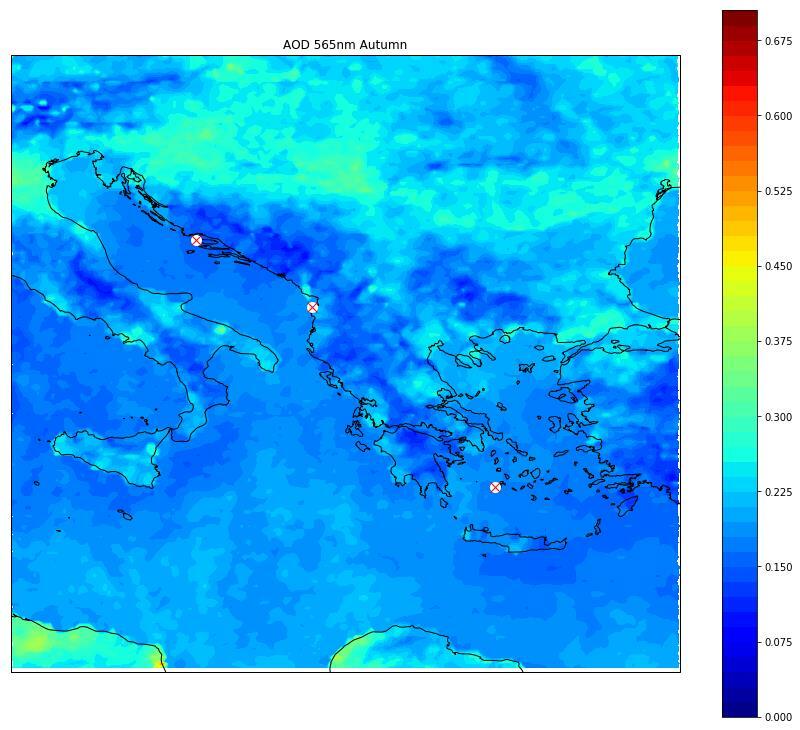 In addition to this, measurements carried out by ATMOS Aerosol Research are not only used for finding the ideal site for the ATMOS Selfness Resort, but also for continuous monitoring after its construction. 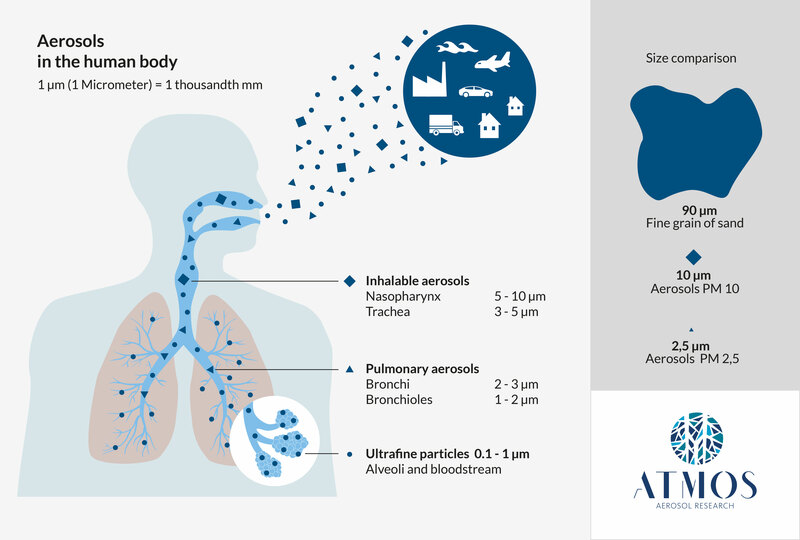 On this graph you can see how far aerosols of whatever size penetrate into the lungs. The following measurements refer to particles with a size of 2.5 μm. Permanently and worldwide data from various sources is being collected by satellites and by about 300 ground stations via Aeronet. Thanks to the GRASP algorithm these sets of data can be interpreted. 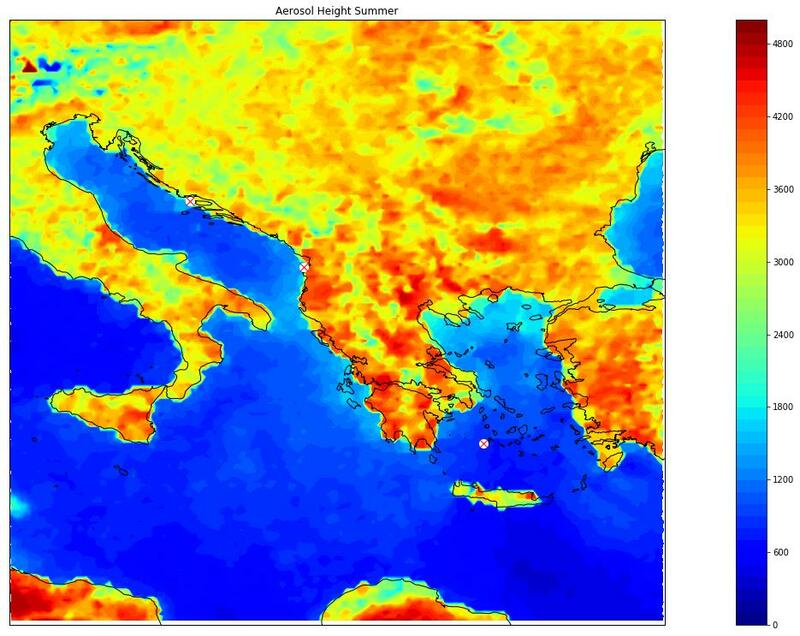 This is an up-to-date measurement that was carried out for a building project in the Mediterranean area. 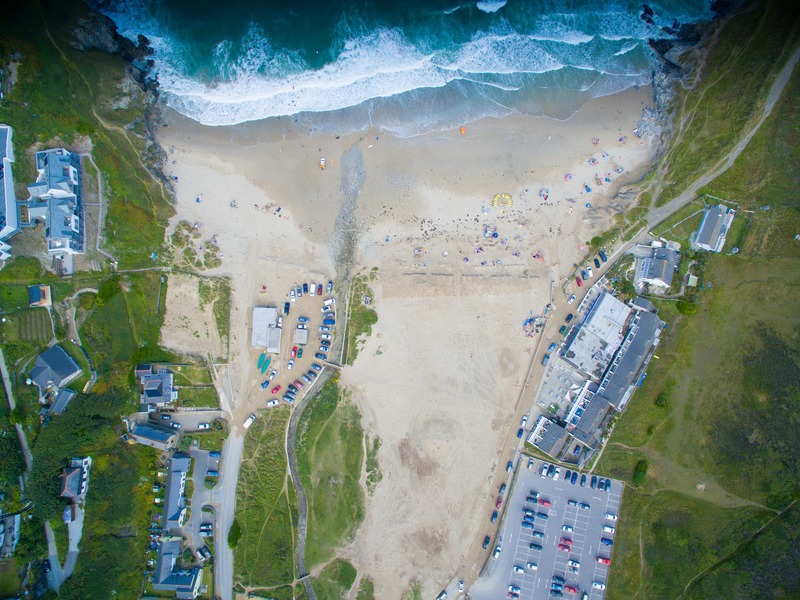 The client had named 3 potential spots for which an aerosol analysis was carried out. 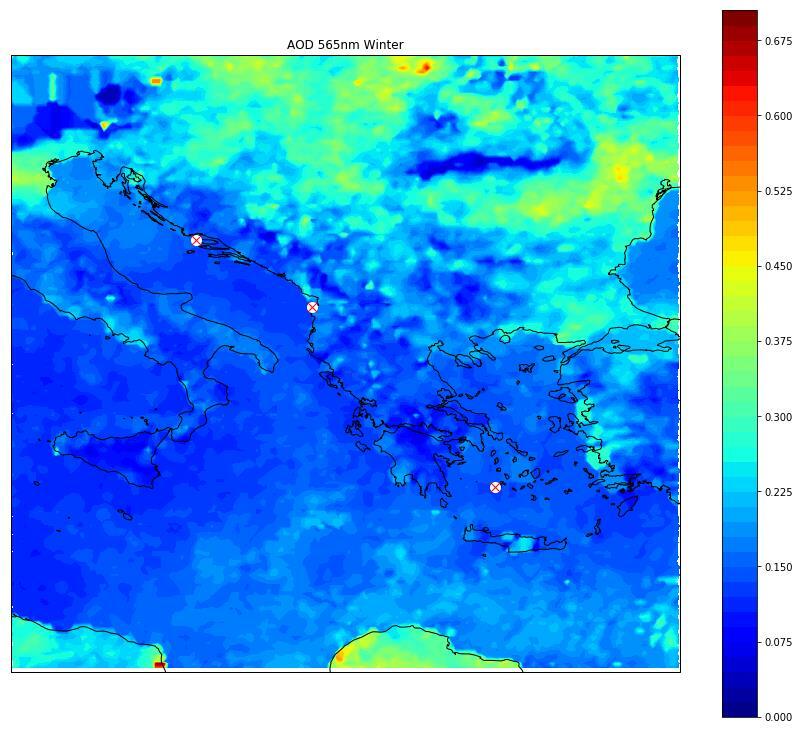 Air quality as well as a comparison of the seasons were to be shown, therefore the seasons can be seen below. The results were merged with data of the last 9 years to make sure that one-off effects (such as a volcanic eruption or forest fire) wouldn’t cause any interference. The images are shown in reduced quality. In the actual evaluation 1 pixel represents 1 kilometre. 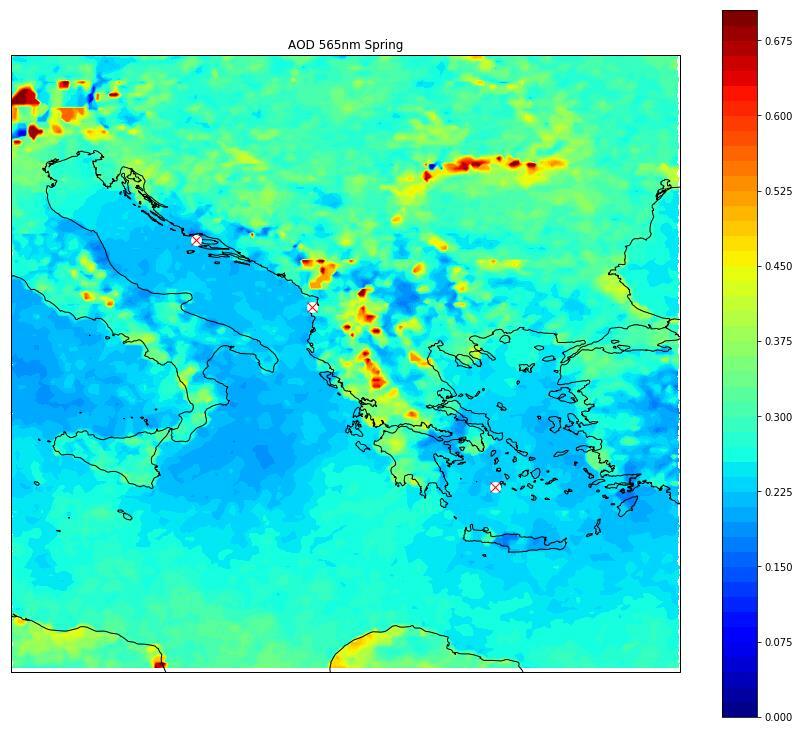 These images show the distribution of PM 2.5 aerosols in the air. These particles have a diameter of 2.5 µm, which equals more or less the size of bacteria. Therefore these particles can enter deep into the lungs and sometimes are even able to reach the alveoli. 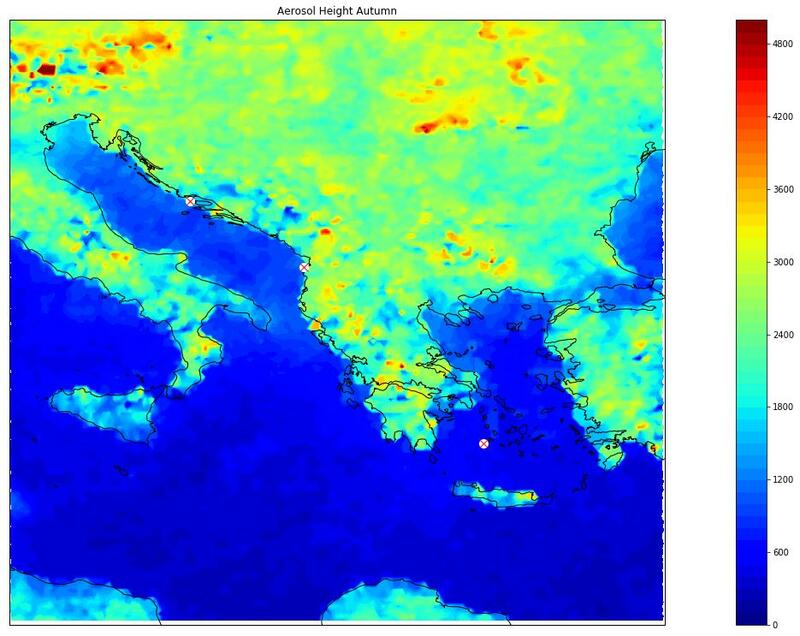 The altitude in which the aerosols can be found is also a crucial factor. A satellite measures the air column in its totality, reaching to the ground. Anything above an altitude of 2,500 metres is not relevant. 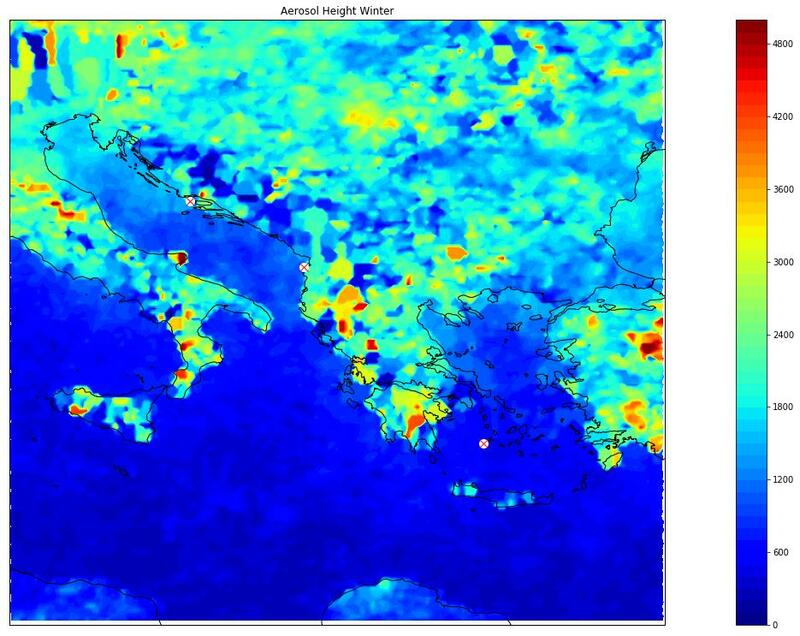 The detected aerosols are classified in order to evaluate which types of particles (e.g. dust, salt or sand) and of which size are suspended in the air. These are only a few examples of the possibilities of our measurements.